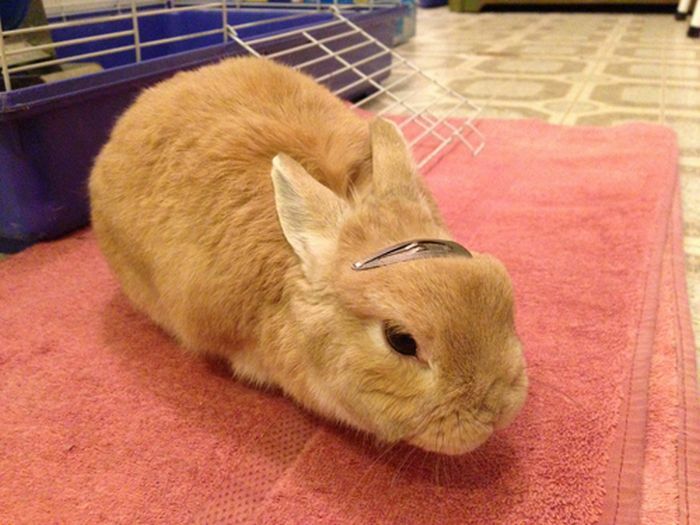 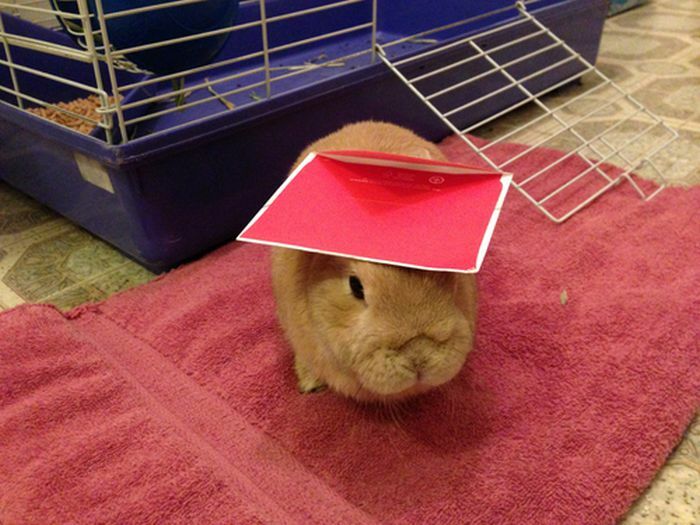 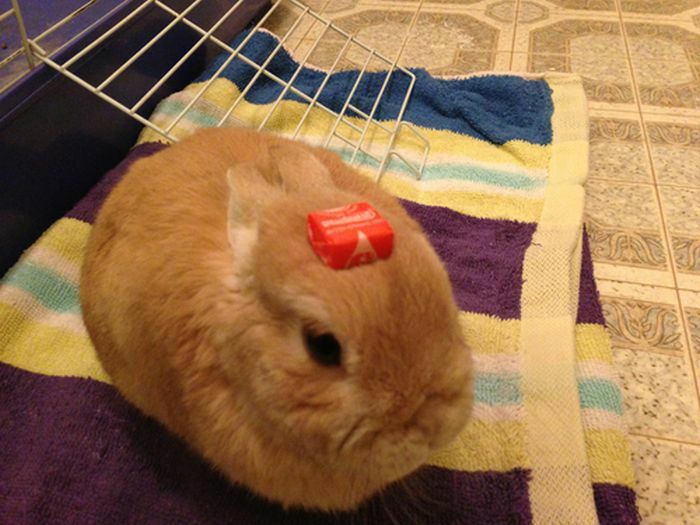 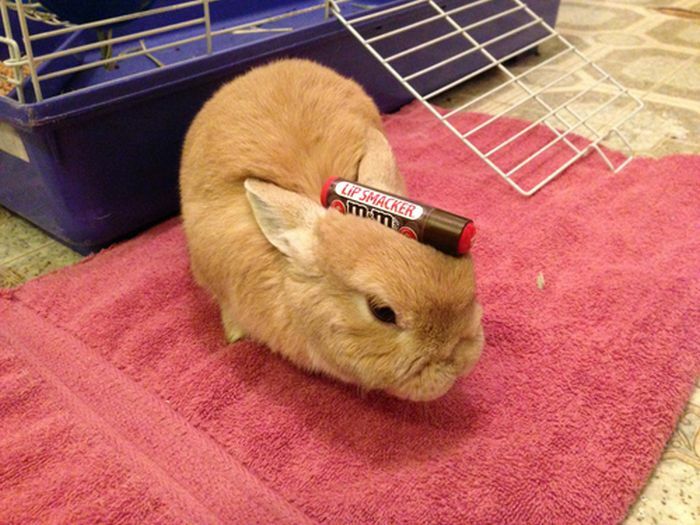 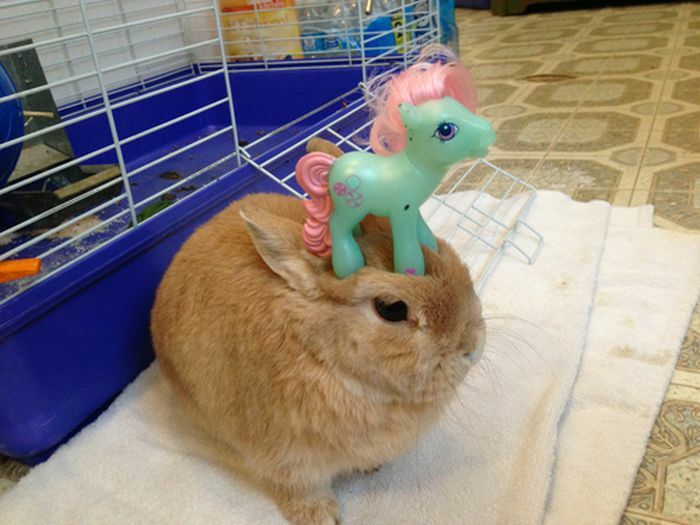 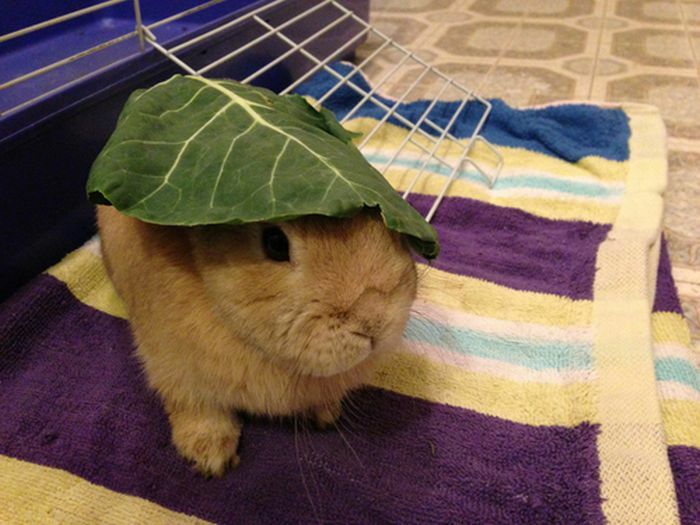 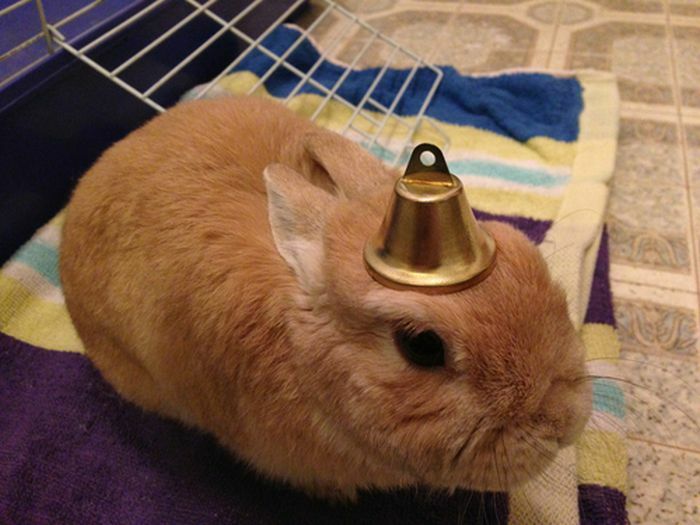 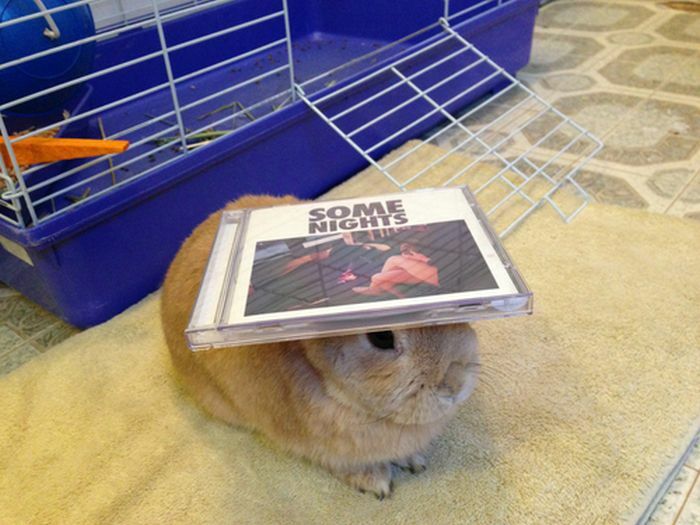 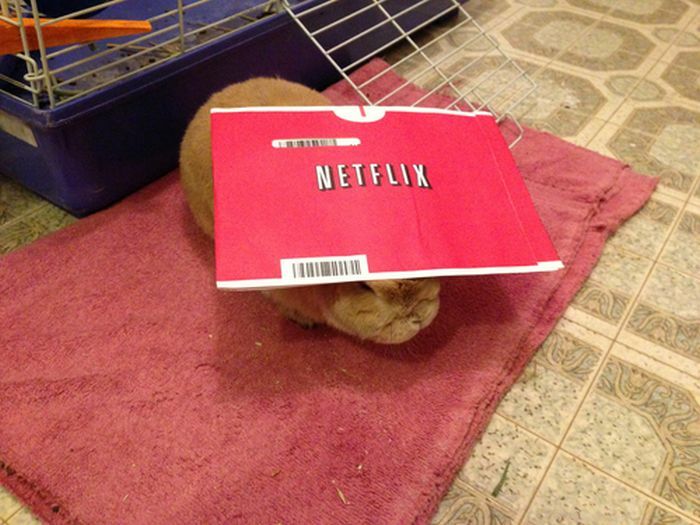 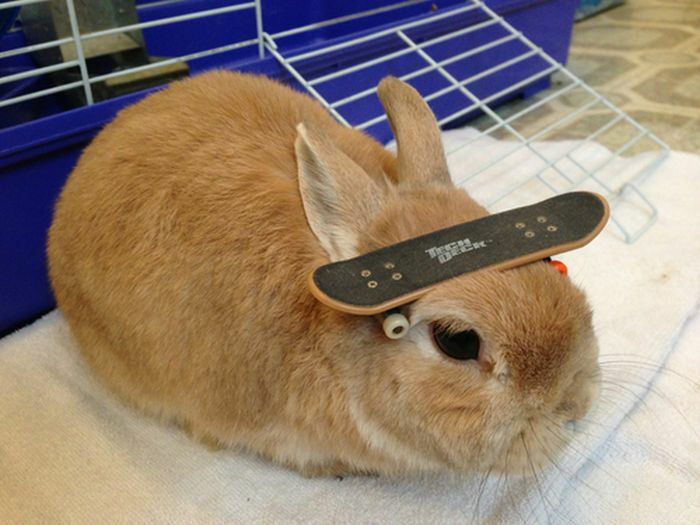 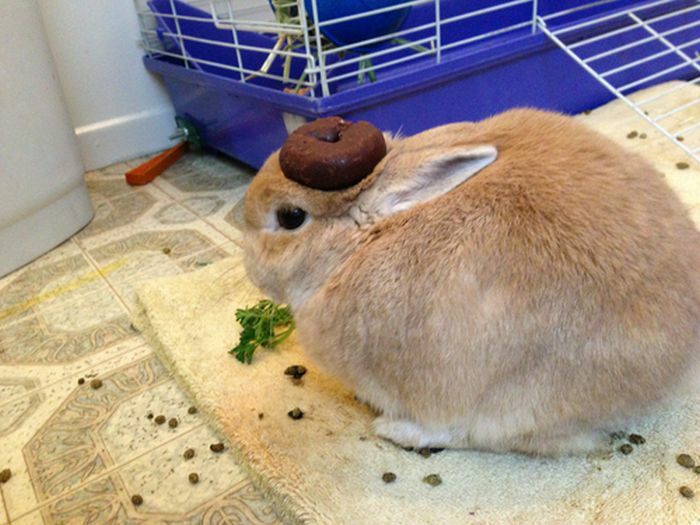 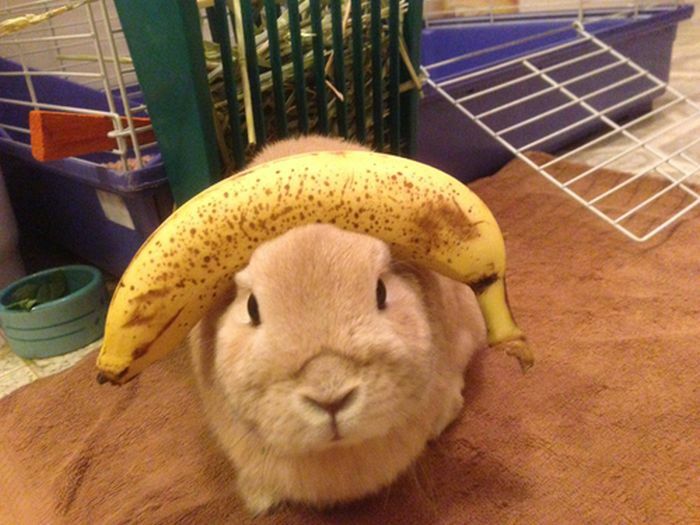 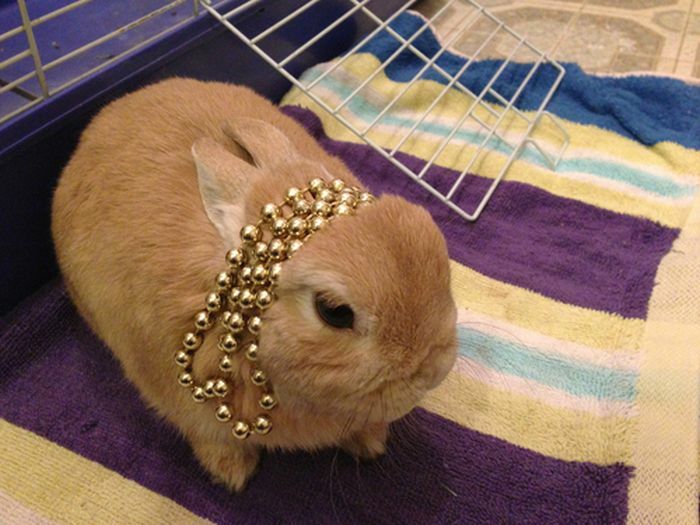 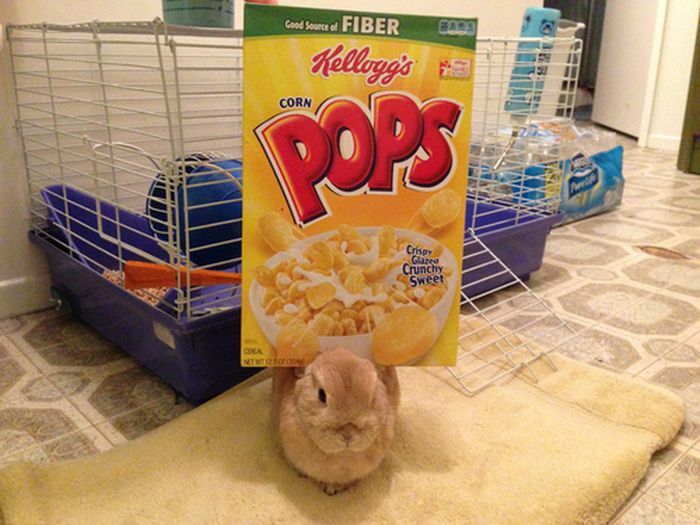 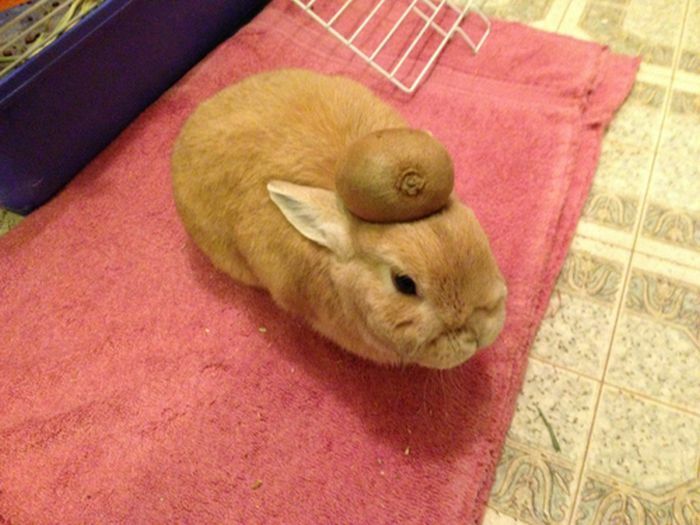 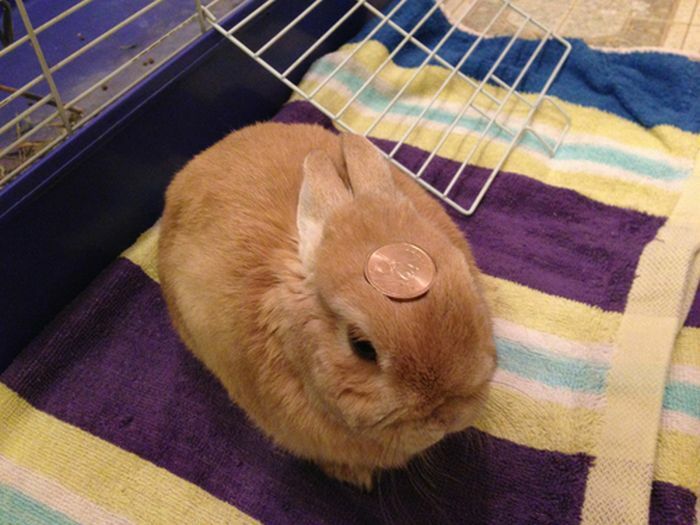 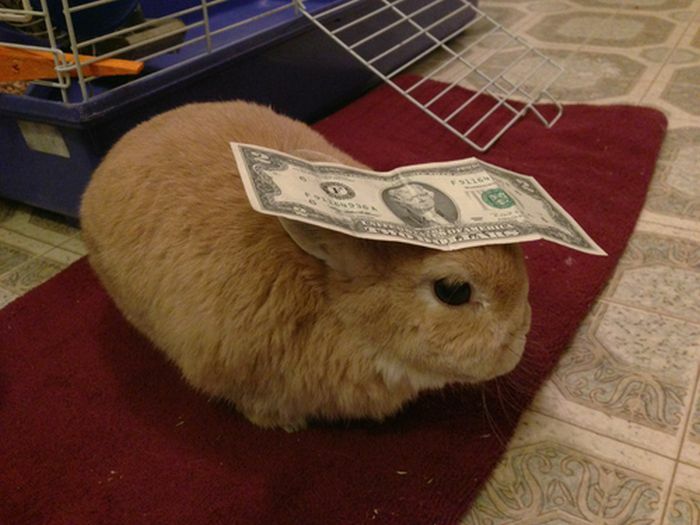 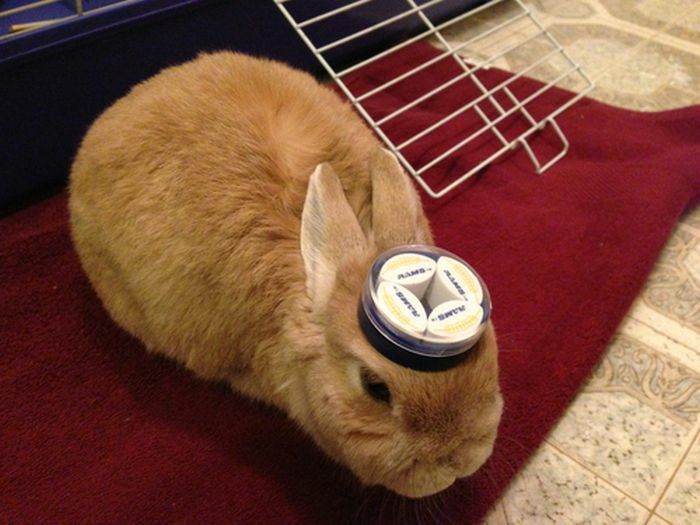 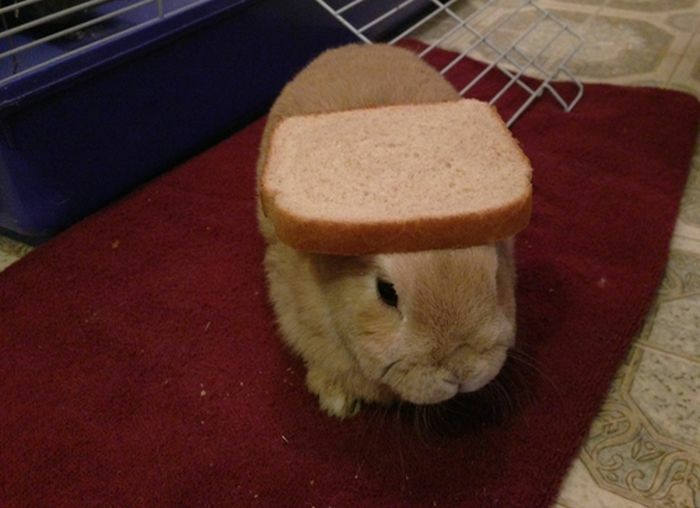 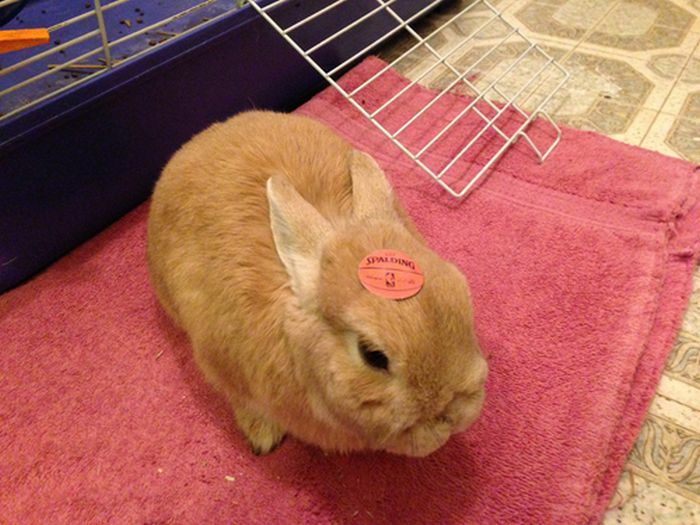 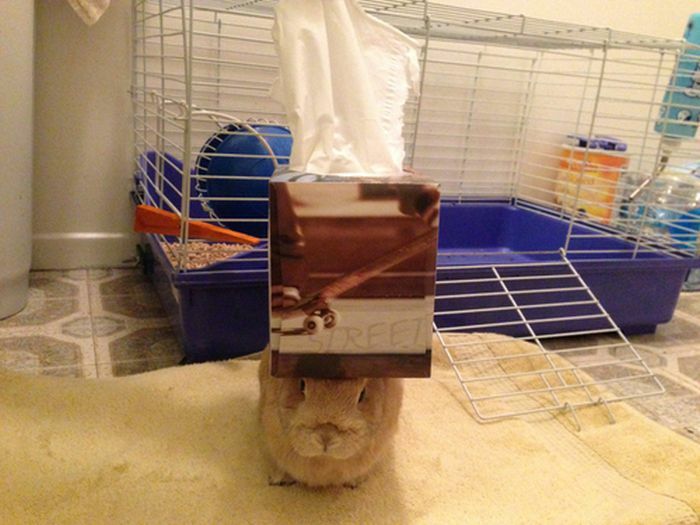 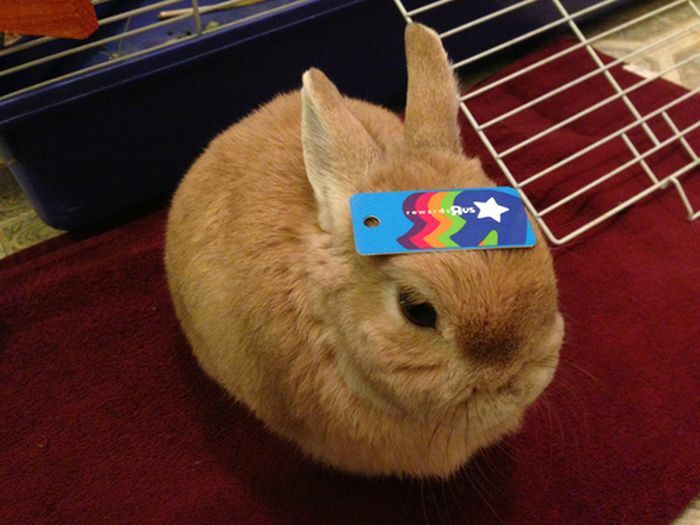 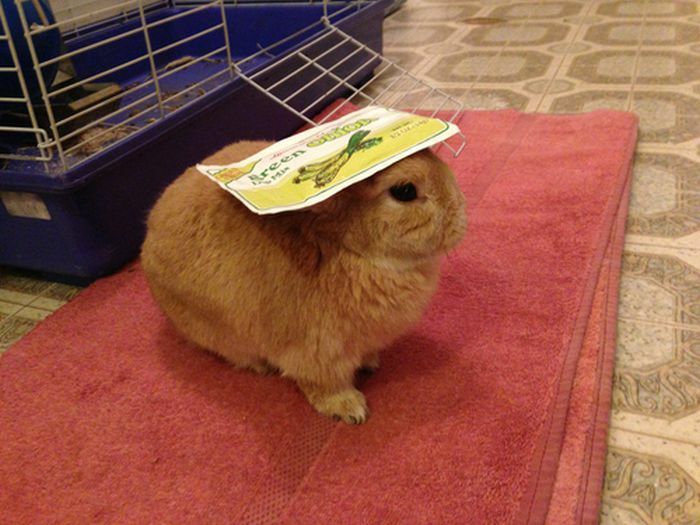 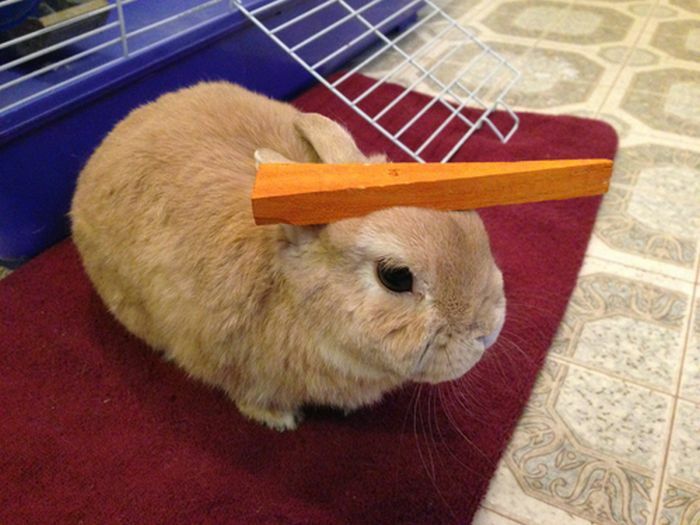 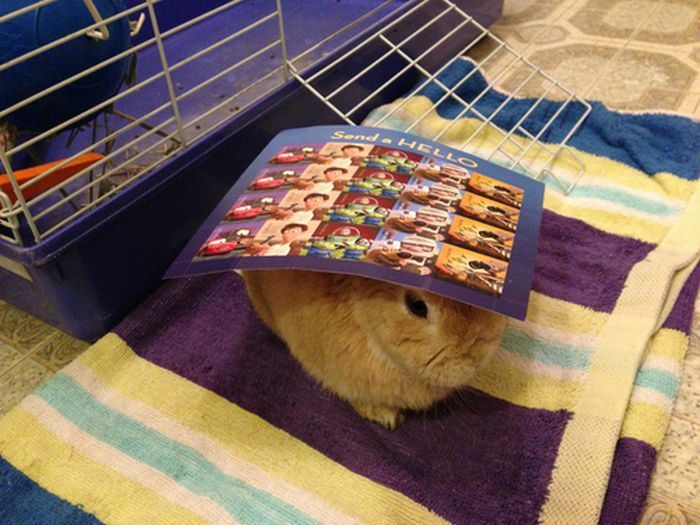 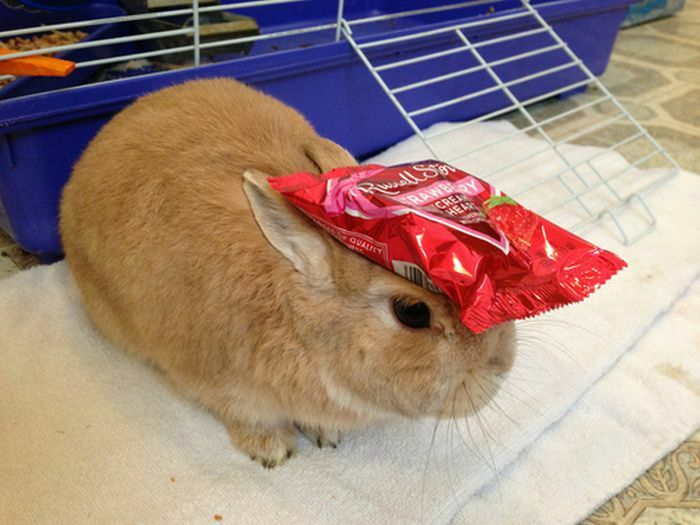 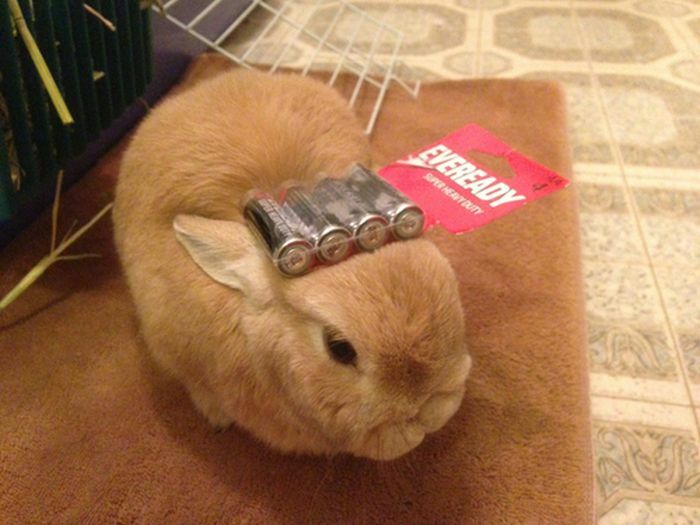 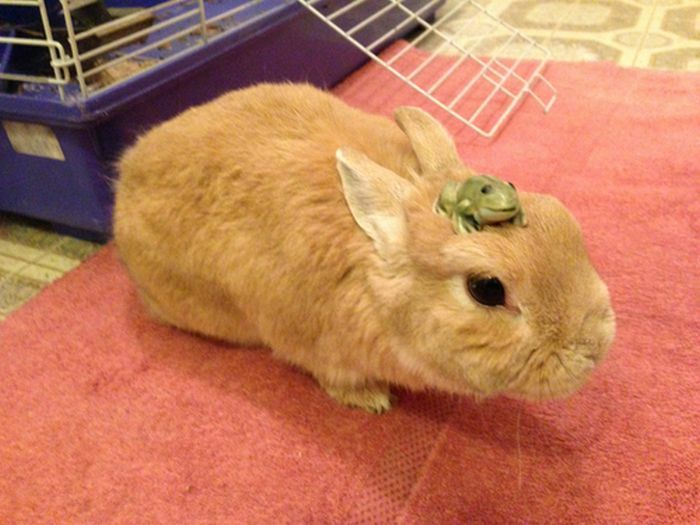 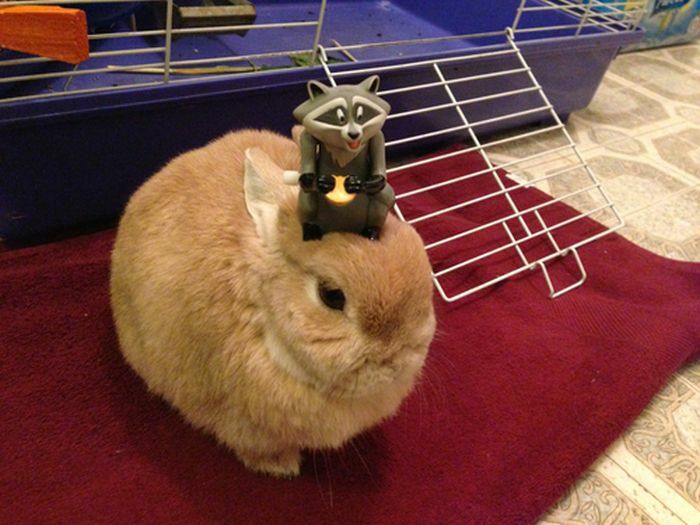 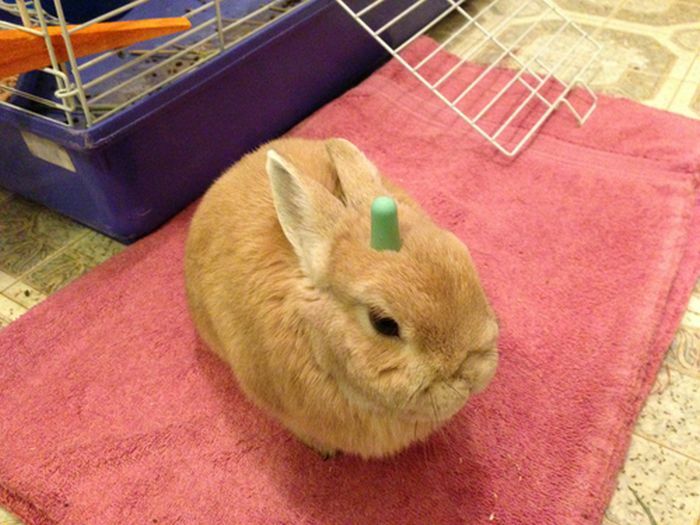 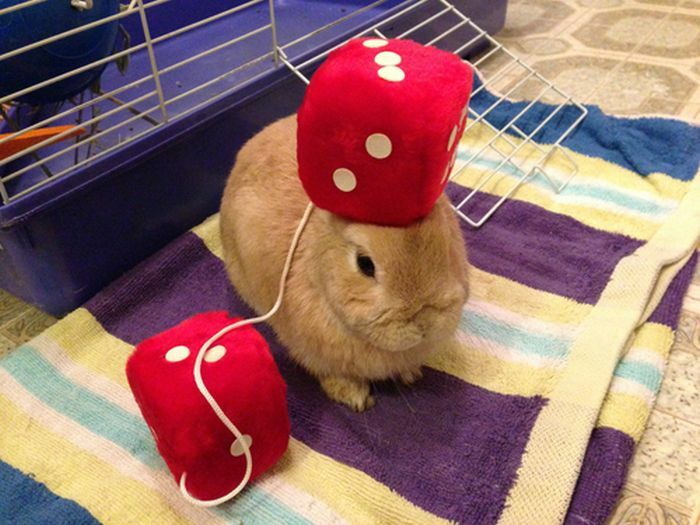 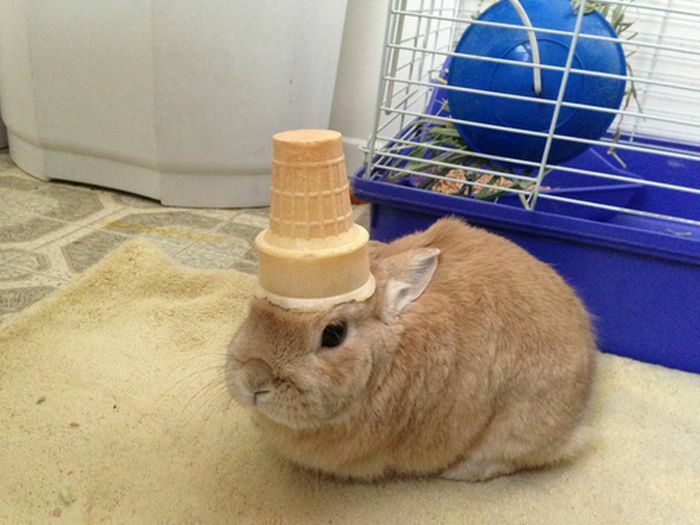 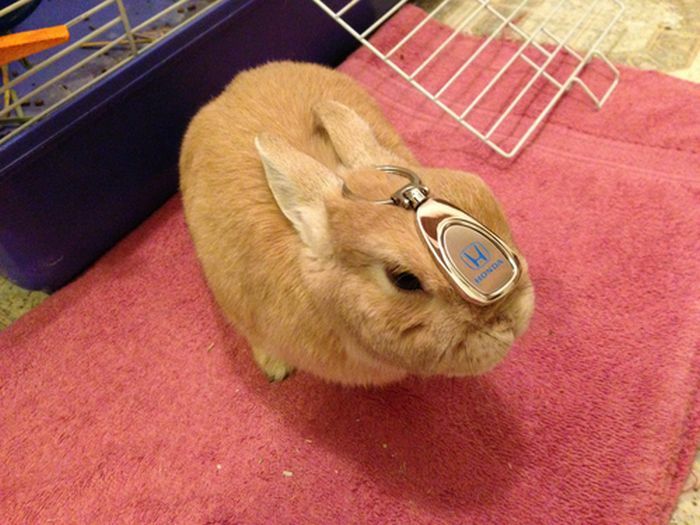 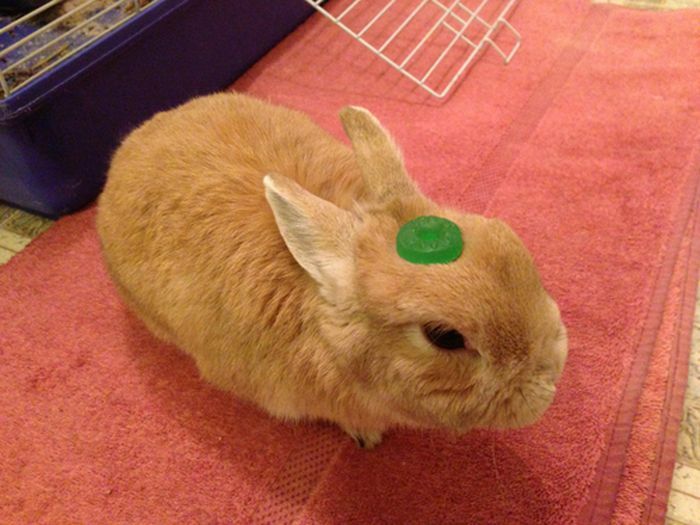 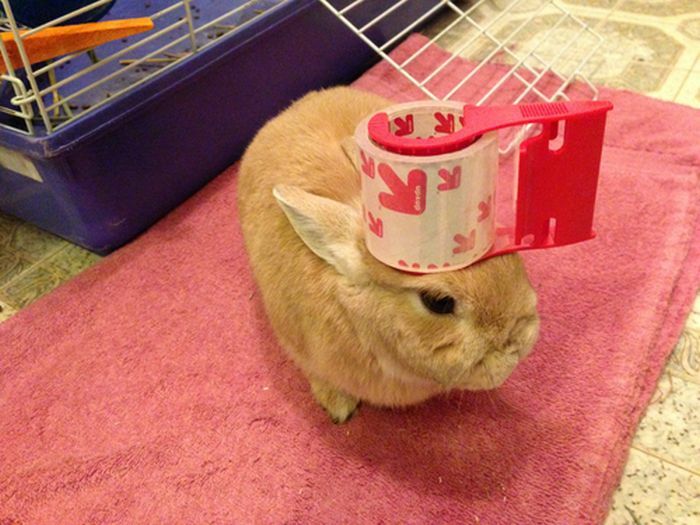 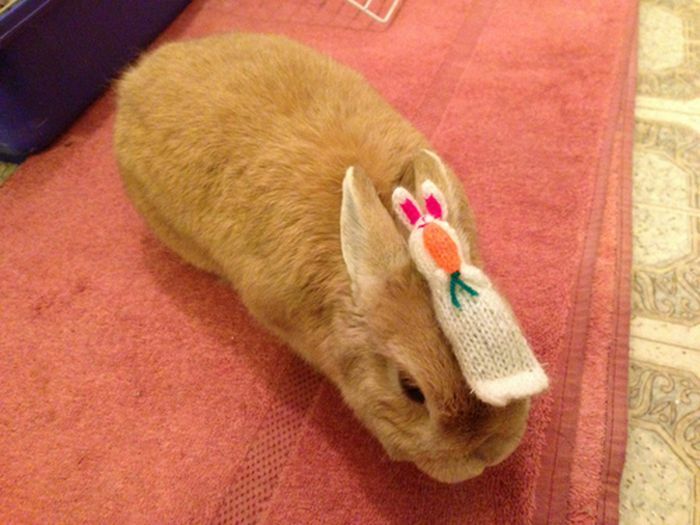 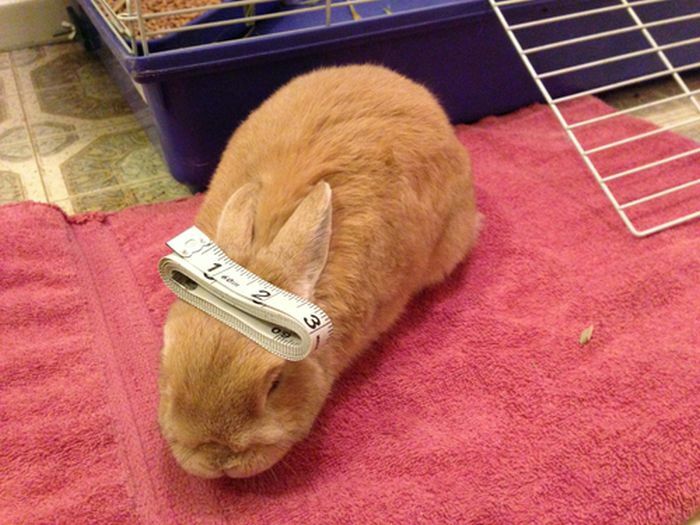 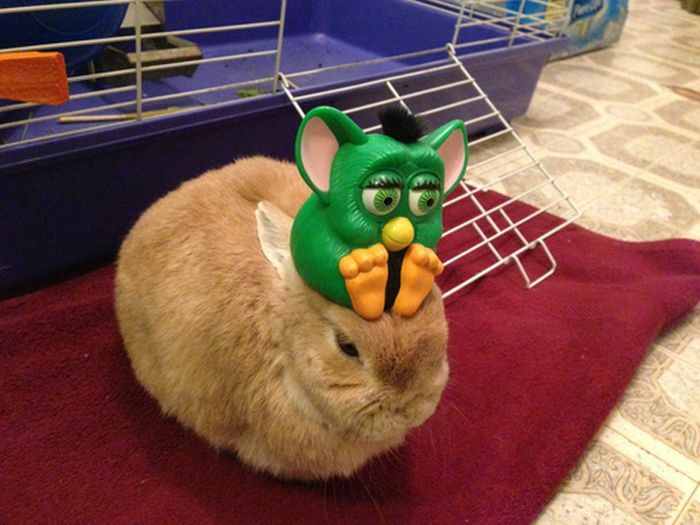 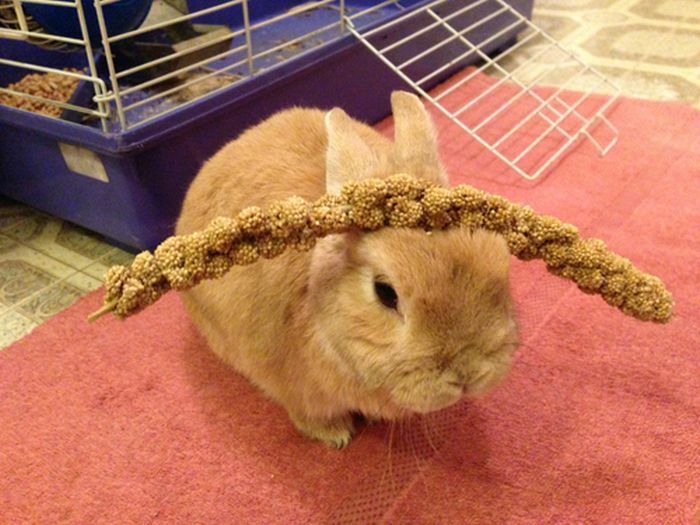 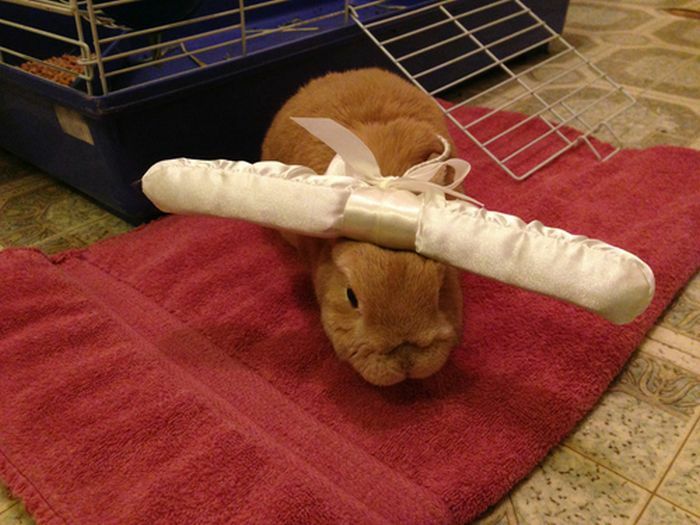 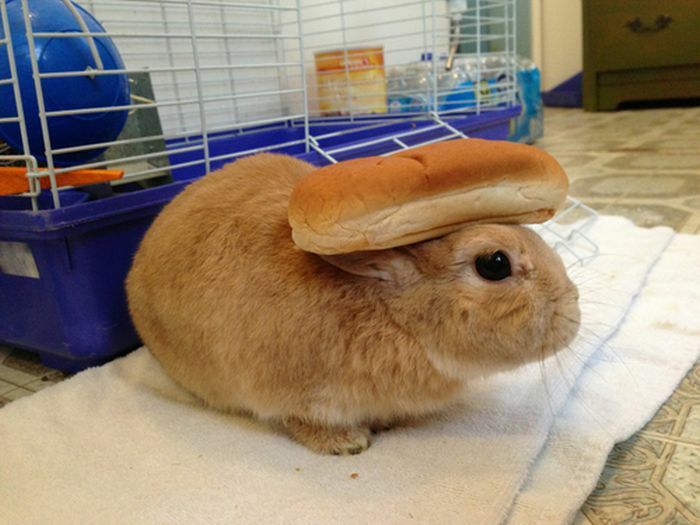 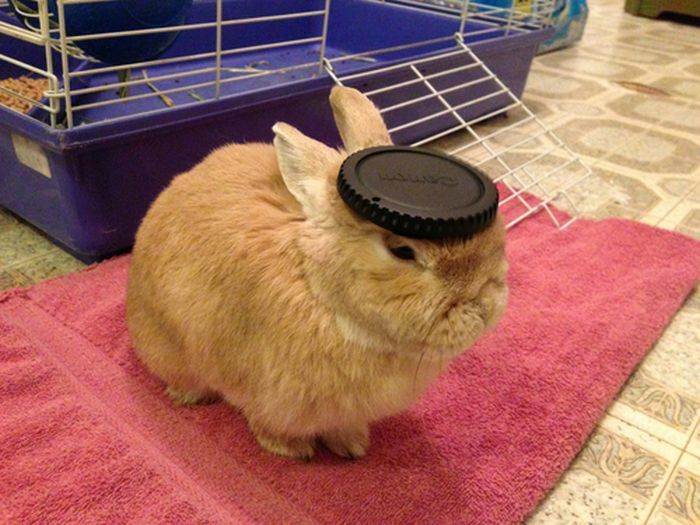 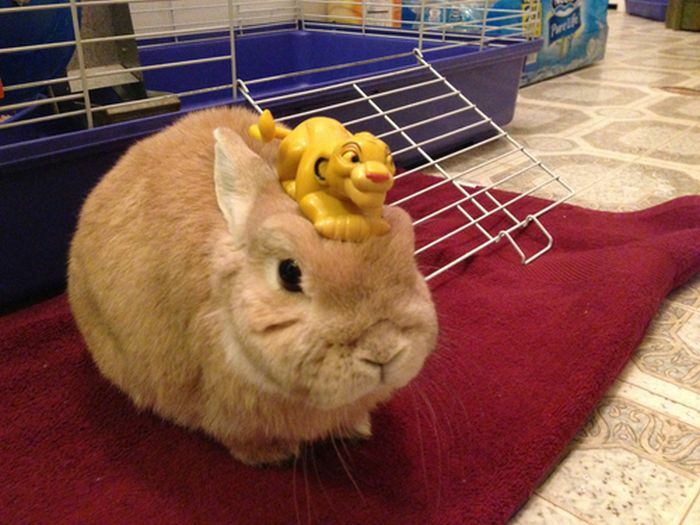 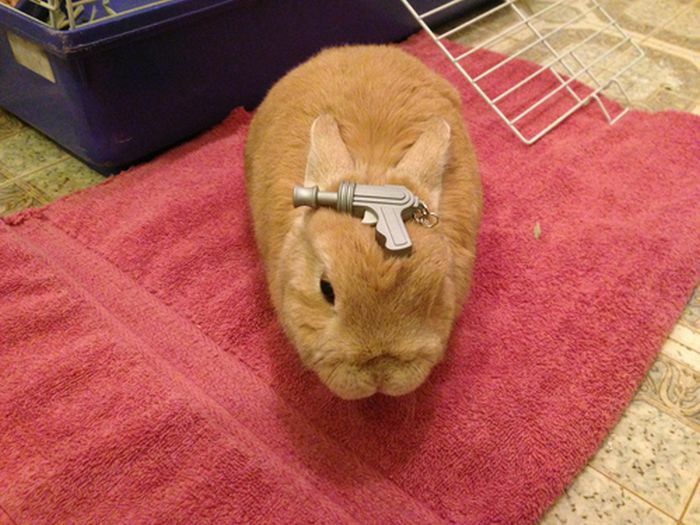 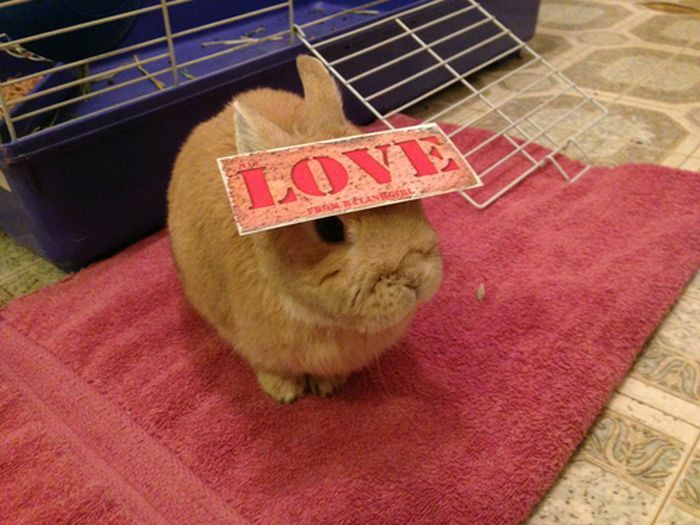 Cute rabbit with stuff on his head. 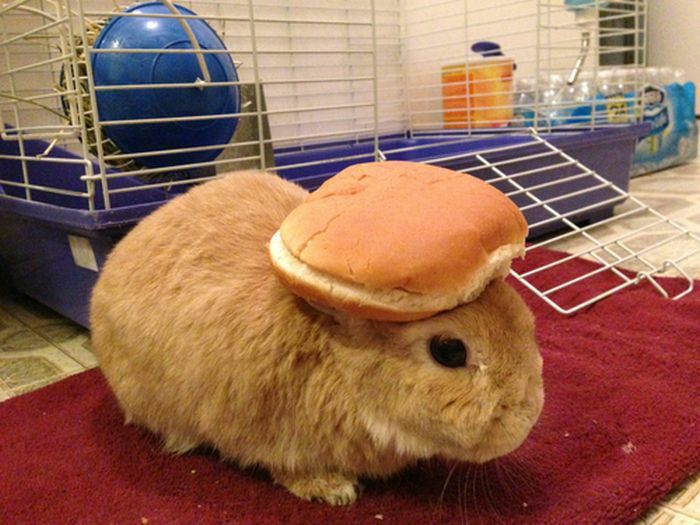 I shouldn't laugh of this but it's so stupid I can't stop. 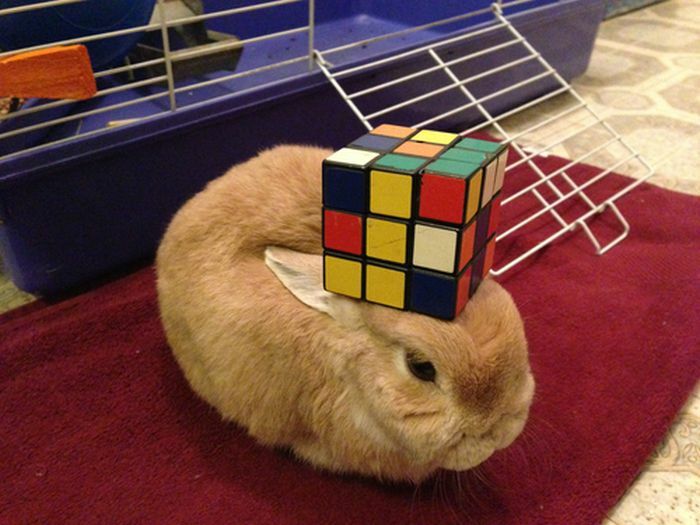 Does that Rabbit ever get bored with this? 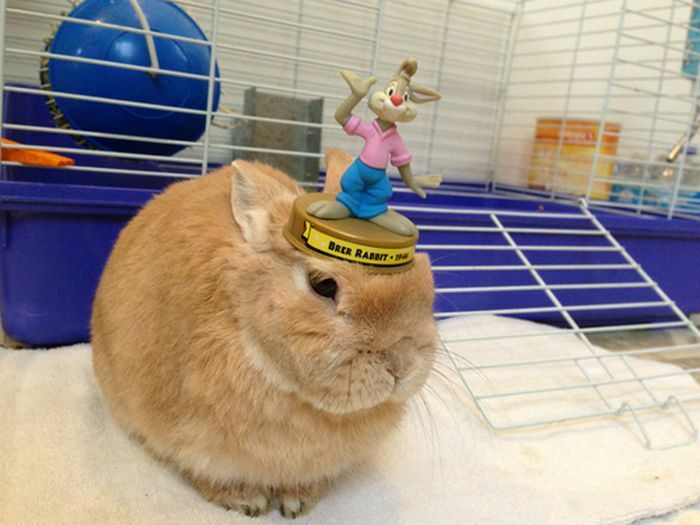 I got bored about 10 pictures in. 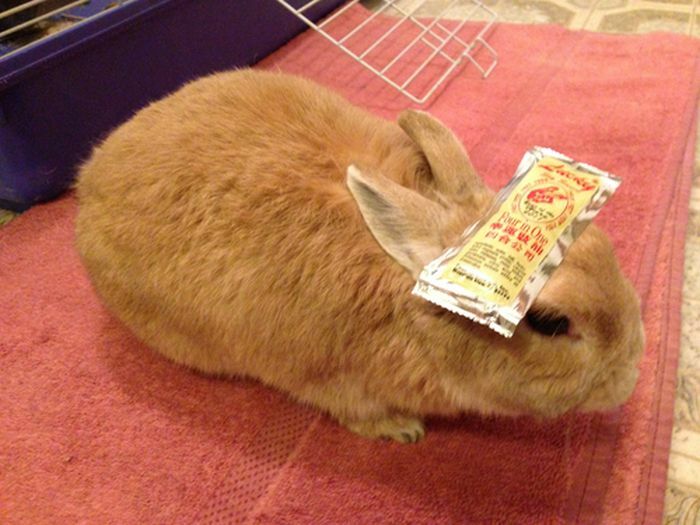 Only stuff i put on my domestic rabbit is carrots, potatoes, in a nice white sauce. 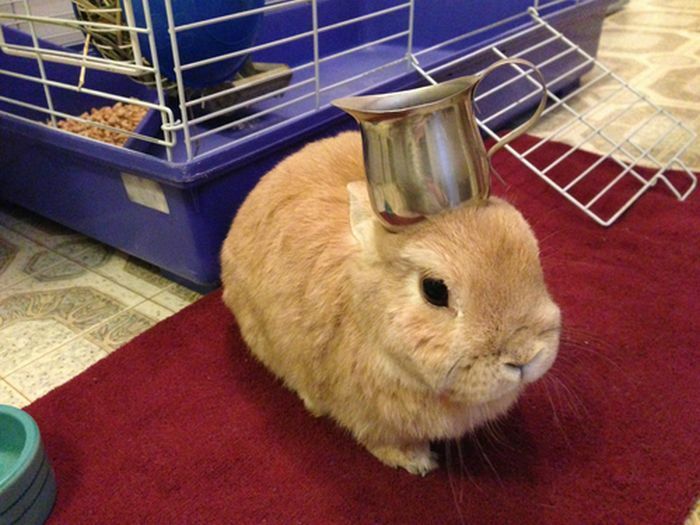 Mmmm good stew!